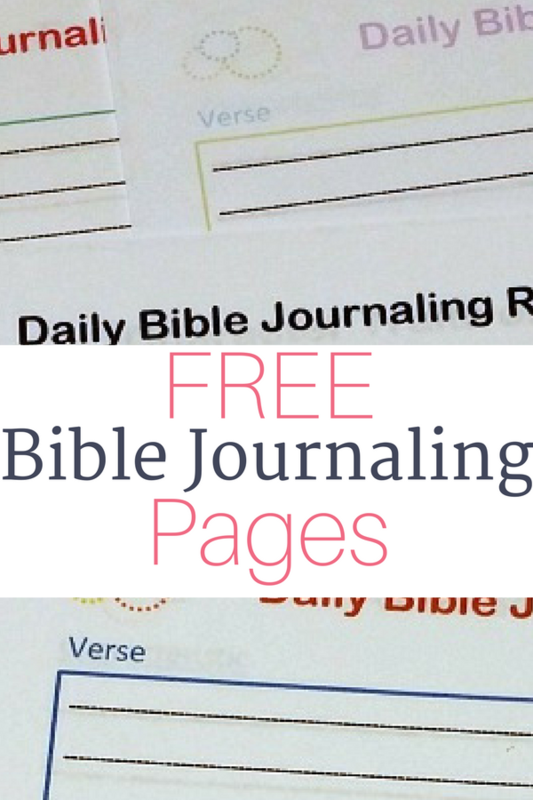 One of the most searched topics here at The Littlest Way is Bible journaling. One of the most common emails I receive is, “Thank you for being real about your Bible journaling,” (Bible Journaling Tips for the Hesitant) or “Thank you for showing me how to do this without having to buy a new Bible,” (Bible Journaling When You Don’t Have a Journaling Bible). So many people see the beautiful artwork others are creating in their Bibles and assume if theirs doesn’t look the same, they must not be an artist. Not so, not so. 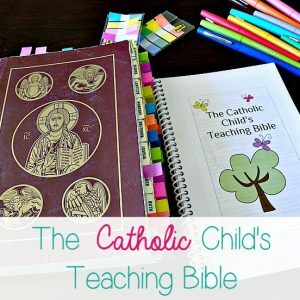 We are all gifted with out own unique way of Bible journaling. We also need to remember the purpose of Bible journaling and Bible study is to grow in closer friendship with God. It’s this “closer friendship with God” I want to consider today. *UPDATE: I’ve written a book, Bible Journaling Tips, Inspiration and Permission, to encourage and inspire you in your Bible journaling! If you poke around here at The Littlest Way, it won’t take you long to notice I love my Bible, especially my large print one and my The One Year Bible NLT (This is my “quantity” Bible to make sure I get the Word inside me each and every day.) And although I do own an official “Journaling Bible,” and now this new one, lots of you don’t. Some of you contentedly stick with the Bible you already own but still want to practice the spiritual discipline of Bible journaling. And some of you are afraid to start because what if you mess up, in a Bible no less! I totally get that and wanted a fun and pretty way your could journal as you read the Word of God. I want us to read our Bibles together. I want us to learn together and grow in closer friendship with God together. Now obviously we’re all in different seasons and places in our lives, but we can all read and learn and grow together in our own unique way that God has called us to. Meg already has a fantastic Bible Reading Plan–two actually so take your pick and print one out! And while learning my new computer, I was inspired to create some Bible journaling printable pages for us to use. I’ve already started using them and already LOVE them! 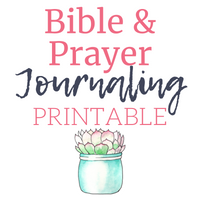 If you are looking for a way to become a little better organized and more focused and intentional in your daily Bible reading, I think you will love these Bible journaling printables as well. I also have a less in-depth Bible journaling page along as part of my Bible and Prayer Journaling Printable Book. 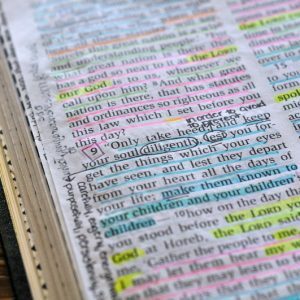 These Bible journaling pages can be as in-depth as you’d like. They can also be easily picked up and put down depending on your Bible study and reading season in life. And once printed out, you can bind them at your local office supply or three hole punch them and place them in a binder–by year even. There are four printables pages included in this set. The first is “Daily Bible Journaling Reflections.” These will be your daily pages to record the verse or verses that stood out to you, the prayer or conversation between you and God, prayer requests and gratitude list. The next page is a “Topical Study” page. It has a place to write the topic you are studying such as “love” or “mercy.” It also has room to list synonyms for that word and then a chart to list the verse location and actual verse. (The recent 31 Days posts on Bible Quotes about would be a great place to start a topical study.) There are “Character Traits of God” and “Character Traits of Jesus” pages too. There’s room on those pages to write the trait or characteristic of God or Jesus and then the verse location. For example, I was reading in Psalm 27 today. Verses 1 and 4 used the words “light, salvation, stronghold and beautiful” to describe God. I listed those on this page with the reference to Psalm 27. And then finally, I included a blank page labeled, “Notes and Doodles.” This page is whatever you need it for. 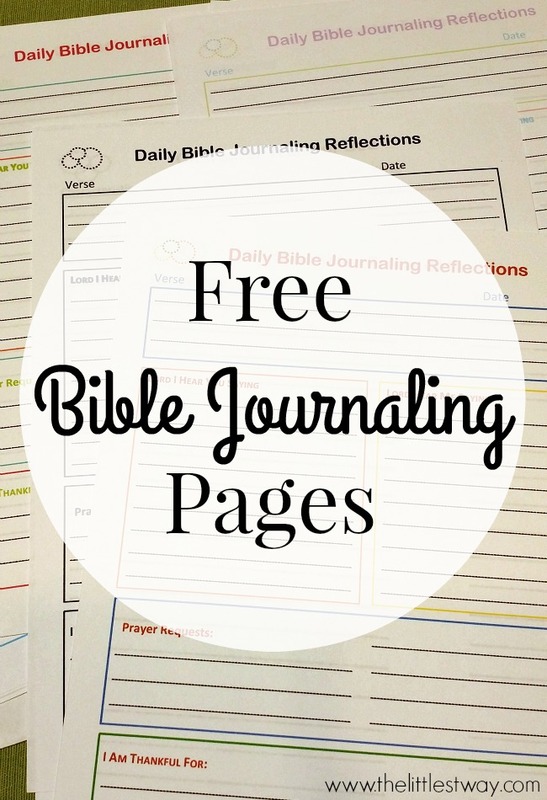 For some who don’t have a journaling Bible or don’t want to journal in their Bibles, this page is for you…get creative. Or take this space to just write your heart out to God: questions, concerns, more prayer requests, more gratitude! I designed the pages in four different color options: Primary, Brights, Pastel or Black and White. These are totally free for email subscribers to The Littlest Way. Not a subscriber yet? No worries, just click here to subscribe. I have a whole library of freebies for email subscribers and am frequently adding to it. The most recent addition is desktop and phone wallpapers for each month of the year. These are so pretty with a lovely quote for each month. And I know some may still be feeling a little iffy about starting. I have a post for that! Bible Journaling Tips for the Hesitant. Another fun, quick, and easy way tog et started with Bible journaling is to mark your favorite verses with pretty tabs, Bible Journaling Favorite Tabs. 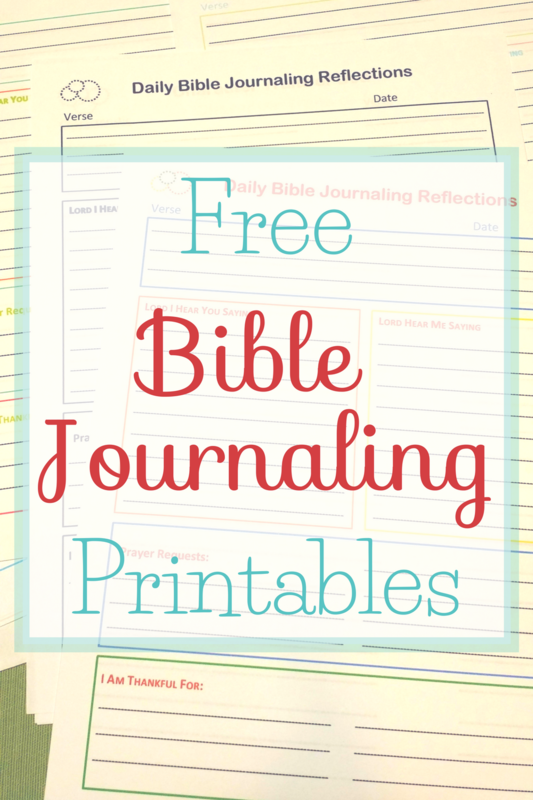 If you’re excited about these free Bible Journaling printables, check out my Prayer Journal printables! And please let me know how you are using these. I want to start a prayer journal! Yay! I have printables for that too! Does the Bible journaling page fit into an A5 planner? Teresa, let me play around and see. I’ll get back to you. Hi Jacklyn. Once you sign up to be an email subscriber, you’ll have access to the printable library. I just absolutely love your site .. you have inspired me. Thank you Regina. Thanks be to God for the love He has for us that he will use a simple momma and her words. I signed up for the emails and it asked me for a password. Where do I find the password? I’m having a hard time finding the free printables. Can you help? Hi Susie. 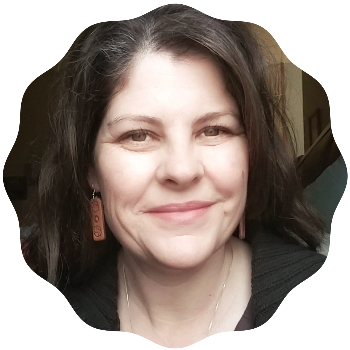 Sure, if you’ve signed up to receive The Littlest Way by email, A)at sign up you will be redirected to page for email subscribers with all the printables. B)when you receive a new post in your email from The Littlest Way, at the bottom is a link for exclusive subscriber freebies. If you’re still having trouble let me know, I’ll be happy to fix the problem you may still be having. We are planning a Prayer Breakfast in hopes that we can start a prayer group. Looking for details on how to star a journal. Your site has some interesting ideas. Thank you and may God continue to bless you. I’d love to hear how things take shape for you. I’m starting to feel the need to start some type of women’s ministry in my own Church. Right now I’m at the “Really Lord? Don’t You know all the other things I have going on? Maybe we’ll see if someone else wants to do it.” I know, I need to listen and obey! Hola, soy Carmen Orozco, mexicana, por lo reguar traduzco tus post desde google. No me había animado a escribirte por no hablar ingles. Sin embargo quiero agradecerte por este regalo. Hace tiempo vi la técnica de #BibleJournaling y me gusto pero al igual que tú me sentí frustrada por no crear grandes obras de arte. Sin embargo seguí tus consejos y como bien dices el objetivo de Diario biblico es tener una relación con Dios, conocerlo y aprender de Jesús para seguir su pasos. Ya empece a leer mi Biblia me da gusto conocerte, muchas gracias por tus consejos recibe muchas bendiciones!! !